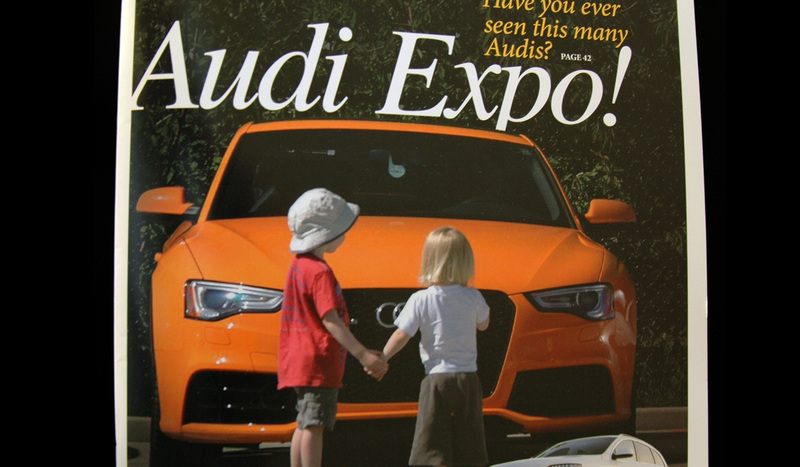 That’s a Spina² photo on the cover of quattro Quarterly, an Audi Club of North America national publication! Despite the limited amount of time we were able to dedicate towards the Audi Expo event coverage this year, we managed to get a few decent shots which are still featured in the Audi Expo online gallery. A couple of weeks later we were asked to resubmit one of the photos to Audi Club of North America as they expressed interest in the photo, mentioning they might use it for the next cover of their national membership publication, quattro Quarterly! Without hesitation we sent in our photo hoping for the best but knew not to expect much since there would certainly be other photos up for consideration. Imagine our surprise when we saw our photo actually made the cover! We couldn’t be more proud.